Some certain food are delicious and welcomed any time of the day. To me, these cheesy biscuits fall under that category. They are great served at breakfast, lunch, brunch or dinner–and can be paired with almost anything. These biscuits have light and tender crumbs in the inside, with crispy flakes in the outside–and a lot of cheesy goodness. I love serving these for breakfast, or brunch–where they can be sliced in half and stuffed with honey-roasted ham (and maybe more cheese!). And since this is another Ina’s recipe, it was pretty much fail-proof. I had no issue with the dough, and I was able to freeze the leftover, and they could be rewarmed and still turned out great! Happy eating! This entry was posted on Saturday, June 19th, 2010 at 12:00 am and is filed under breakfast, brunch, dinner. You can follow any responses to this entry through the RSS 2.0 feed. You can leave a response, or trackback from your own site. 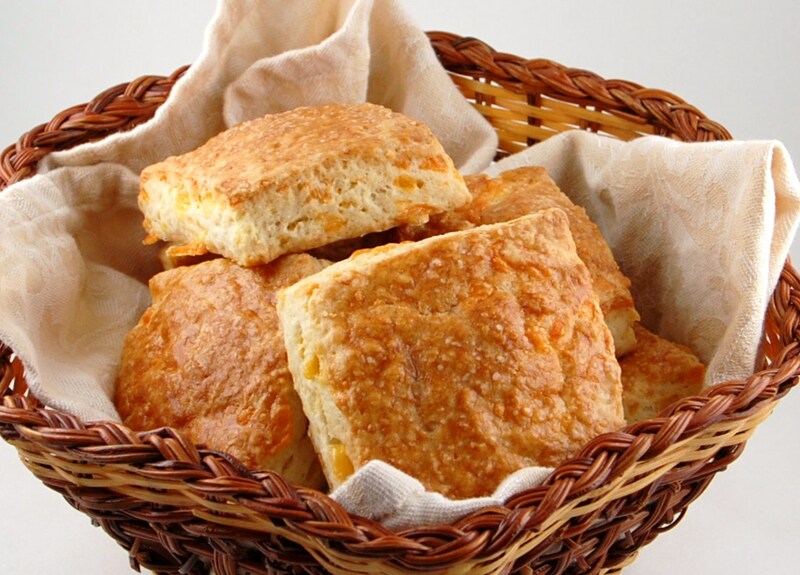 Great looking biscuits – cheddar biscuits are one of my favorites!